The Qixing Mountain System meanders through Tamsui, Jinshan, Sanzhi, Shimen, Zhusongshan and Wanli, fanning off into settlements and production landscapes until it finally reaches the sea. Because farmers in these areas engage in crop rotation, leaving a portion of their field fallow each year, these settlements create a suitable habitat for aquatic organisms such as the Taipei frog (Rana taipehensis) and Chinese water snake (Enhydris chinensis), and are also rich in natural and cultural heritage sites. 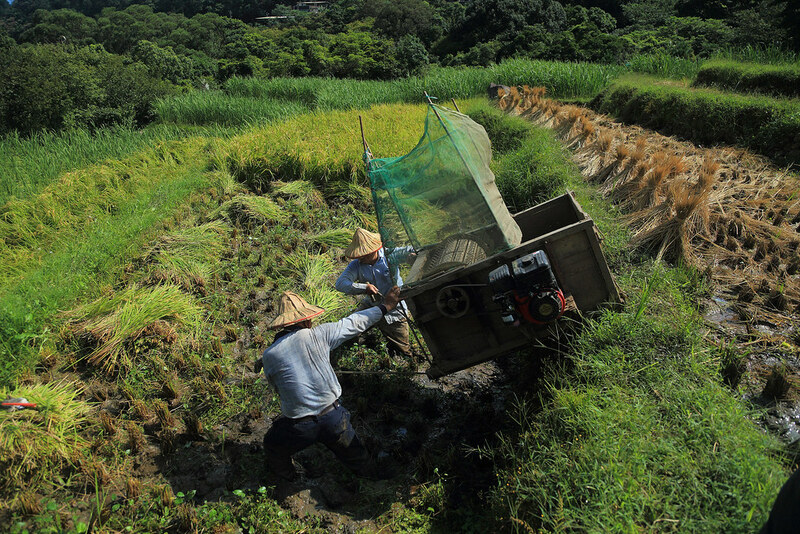 Historically, Taiwan’s agricultural landscape exhibited a similar harmonious co-existence between agriculture and ecosystems; however, as traditional agriculture fell by the wayside, this symbiotic relationship also began to disintegrate. Transition to ecological agriculture is helping to restore fractured ecological systems in the Central Mountain Range. In an effort to disseminate information about this conservation success - and help preserve production landscapes - the National Green Network was launched, spreading the message that ecological agriculture is crucial to maintaining healthy ecosystems. Farmlands traditionally provided shade to many different kinds of wild fauna and flora; however, with the increased use of chemical fertilizers, many species have become endangered or extinct. At the “2018 International Conference on Eco-Friendly Farming and Farmland Ecology”, Lin Hwa-Ching (林華慶), Director General of the Forestry Bureau, pointed out that many of the threatened species listed on The Red List of Vascular Plants of Taiwan live outside of protected zones. Most of these plants are threatened due to habitat deterioration and the use of herbicides, with the notable exception of the orchid, which is threatened because people collect them. As coastal areas and foothill zones largely consist of private farms and woodlands, applying traditional conservation zoning practices is a challenge. However, by training residents of these areas in sustainable production methods, it is possible to transform these areas into Community Conserved Areas, both supporting livelihoods of local people and also conserving the natural environment. These Community Conserved Areas break free from the traditional conservation framework and are a positive step towards the ideals of the Satoyama Initiative. Foothill ecosystems and "satoyama" (foothills in Japanese) landscapes can play an important role as buffer zones between forest and urban landscapes. The Feng-Shu (楓樹) Community in Tongxiao (通宵), Miaoli - a conservation area for the leopard cat (Prionailurus bengalensis) - is one such example. Farmers engage in eco-friendly agricultural practices and don't use chemical fertilizers, ensuring the leopard cat is not directly or indirectly harmed. The secondary forests surrounding the farmers’ fields make a very suitable habitat for the leopard cat - who are also performing a much needed service to the farmers by feeding on field mice, according to surveillance camera footage. The positive effect of this community conservation system is self-evident: not only are leopard cat populations increasing, other predator populations are also on the rise, including small Indian civet (Viverricula indica pallida) and masked palm civet (Paguma larvata). Another positive example of ecological agriculture can be seen in Zhongliao, Nantou, where wild animals often spotted in the fruit orchards. According to Lin, the success of these two areas demonstrates the importance of ecological agriculture and the value it creates by encouraging community cooperation and supporting micro cultural industries. As use of chemical fertilizer and pesticide threatens species of concern - as habitat reduction in area or habitat fragmentation due to urbanization and industrialization - the National Green Network's first step is to inventory of all known agricultural areas, and cross-reference this list with habitat information for species of concern, such as birds, frogs, freshwater fish, and rare plants. By simultaneously promoting ecological agriculture and eliminating adverse conditions, the National Green Network hopes to repair the functioning of ecosystem services. Farmers are key actors in the plan. When farmers’ cooperation in implementing an ecological agricultural practices, the result is a win-win situation. 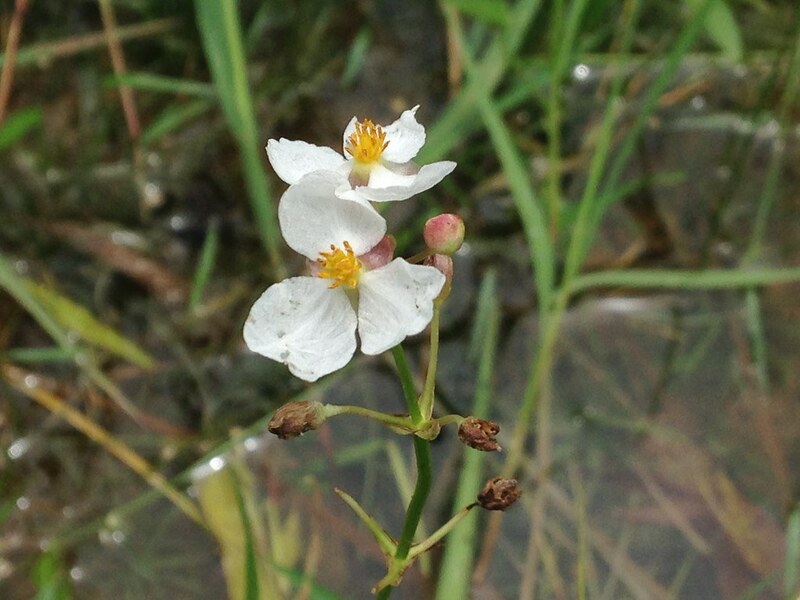 Another distinctive example can be seen in the water chestnut fields in Kuantien (官田), Tainan. The floating leaves of water chestnut plants offer an ideal place for pheasant-tailed jacanas (Hydrophasianus chirurgus) to propagate and lay eggs. As a result, this region is home to Taiwan's largest population of pheasant-tailed jacanas. However, during the winter production season, farmers sow the rice seeds instead of transplanting the rice seedlings, and spray the fields with toxic chemicals to prevent sparrows and migratory birds from feeding on the seeds. As a result, the birds that would otherwise forage in the rice paddy fields during the winter instead wander the land in a desperate search for nourishment. A group of agricultural and ecological experts worked together to develop a countermeasure to this problem. Beginning in 2011, farmers that transplant rice seedlings in the winter season received a subsidy from the government and were also encouraged to reduce chemical fertilizer use according to green conservation benchmarks. When the program first started, there were only seven households participating, with land totaling just 3.3 hectares. 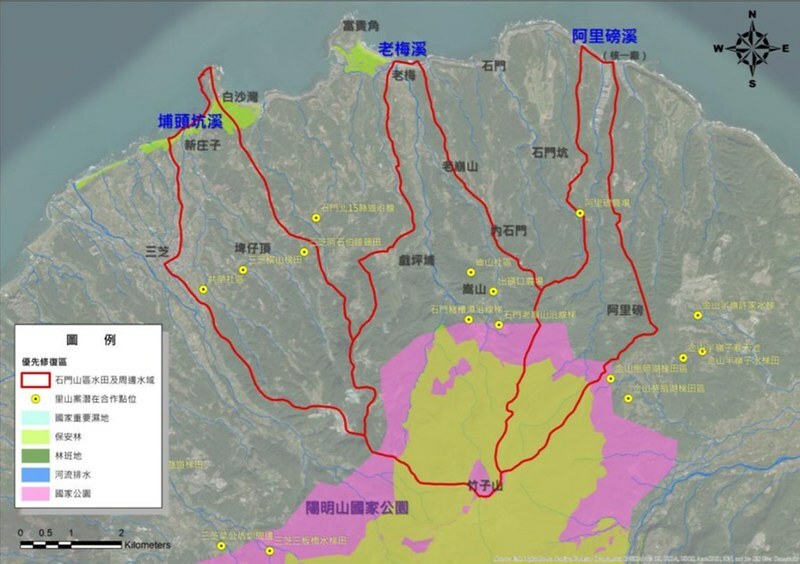 As of today, 25 households - owning a collective 40 hectares of land - from all over Taiwan are participating in the program, helping improve Taiwan's ecological agricultural image. Regarding the agricultural areas that have not yet threatened the surrounding ecological systems, the goal is to maintain this situation. Coastal wetlands are also designated conserved areas that provide important ecosystem services; however, they are completely surrounded by agricultural activity, including crop fields, livestock pastures, and fish farms. As a result, conservation efforts can only be as effective as agricultural practices allow. Shuanglian Pond (雙連埤) is an excellent example of wetland conserved area. As a key habitat for many of Taiwan’s indigenous aquatic plants and endangered Japanese rice fish (Oryzias latipes), the Yilan County Government declared this place a wild animal conservation zone. However, the pond is completely surrounded by agricultural districts that engage in conventional agriculture. As a result, herbicides drain directly into the pond. As long as Shuanglian Pond continues to be impaled with contaminated irrigation runoff, its status as a protected area makes little difference in the conservation effort. Lin states that the main focus of the National Green Network is to maintain ecosystem function, and even transform surrounding ecosystems into habitat corridors in order to expand conservation effectiveness. All of the conserved areas in Taiwan - including Aogu (鰲鼓) plus conserved areas and ationally important wetlands in southwestern coast, or Shuanglian Pond, Wushierjia (五十二甲) Wetlands, and Lanyang Estuary (蘭陽溪口) in Yilan - can transition away from their current status as ecological islands to become ecological corridors. These areas demonstrate the strategic role that ecological agriculture plays in repairing the National Green Network. Dongshih Forest District Office (東勢林管處) has been cooperating with five different long-standing Ayatal tribes in Guguan (谷關), Taichung - they are Hrung (哈崙台), Tbulan (松鶴), Sqba (斯可巴), Mepasing (南勢), and Lilang (裡冷) - over the last year to promote the Satoyama conservation plan in response to the National Green Network. Its slogan is “Qyunan”, which means a sustainable place for an untroubled life in Atayal, to represent the Ayatal Satoyama spirit. With a solid foundation in culture and tradition and a primary focus on maintaining biodiversity, the plan will carry out sustainable natural resource management and land use, according to Hsu Ya-Ching (許雅青), Case Officer of the Dongshih Office. In order to compile a collective database of Guguan’s indigenous knowledge, they first researched the history of tribal migration and development as well as collected information about traditional life - and launched the satoyama conservation task force. 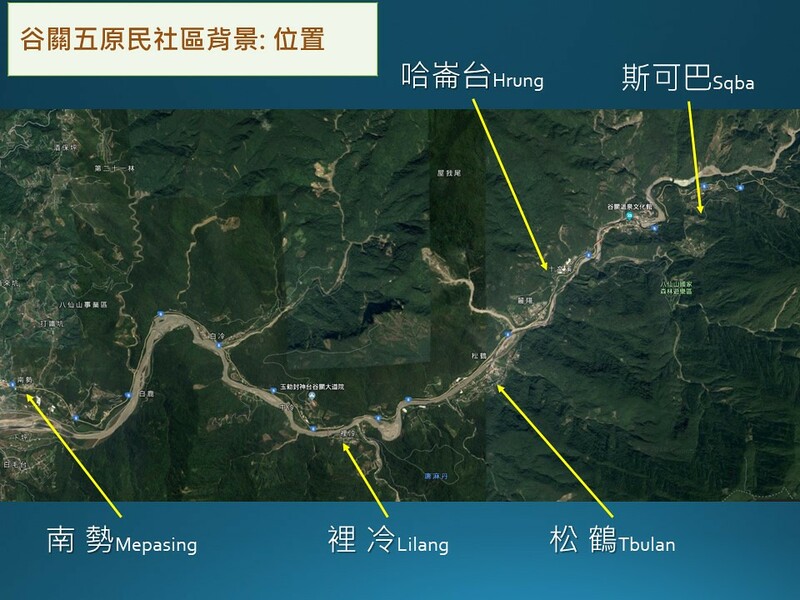 In order to determine which three production landscapes within the administrative region should take precedent, Luodong Forest District Office (羅東林管處) developed a sorting mechanism. Weng Yi-Ling (翁億齡), Technical Specialist of the Luodong Office, explained the process for selecting the regions of focus. After surveying the biodiversity database (e.g. protected species distribution maps, community forestry survey data, and historical ecosystem data) and any ecological niches considered ‘high priority' by the online community and NGOs, they compiled the data into a comprehensive list. Afterwards, they deducted any areas that had already received conservation status from the government, and narrowed the options to 17 different high priority areas. After taking into account conservation urgency, willingness of local actors, and each area’s strategic position, they finalized the list to just three sites. 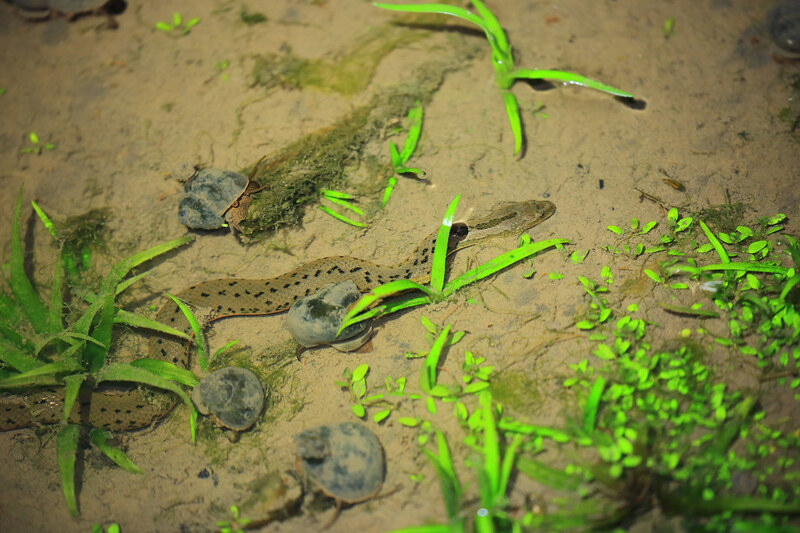 The first site on the list, Sanbanqiao (三板橋), Sanzhi, is home to the Chinese Water Snake and other aquatic animals. Alibang (阿里磅), Shimen, the second site, lays claim to the most stable population of the Taipei Frog in northern Taiwan. The final chosen site - Xinnan rice paddy fields (新南田區), Langyang Estuary - is an important habitat for endangered bird species. Weng reports that, according to 31 different surveillance sessions, 78 different species of birds were recorded in the paddy fields - 8 of which are listed on the IUCN Red List of Threatened Species. In case of storm surge or further human-caused habitat disturbance, the rice paddy fields will certainly become an important habitat for these birds. The land can grow rice once per year, with a growing period of three to ten months; for the remaining time, the fields are left fallow. However, many conventional farmers used to apply herbicide to fields, instead of leaving them fallow. This all changed when Lin Zhe-An (林哲安), the visionary behind Tiandong Rice (田董米), became involved and encouraged seven different farmers to start growing Tiandong Rice using ecological agriculture methods. After that, the situation began to change. Despite having already applied for Taiwan’s Green Conservation Label (綠保標章), the fallow period regulated under the subsidy is not long enough to transform the area into a suitable habitat for waterfowl - and so further measures need to be taken. In order to make up for the deficiency in subsidy payments, the Luodong Office incorporated Payments for Ecosystem Services, PES, to the National Green Network. In an effort to improve the effectiveness of ecosystem services, they worked alongside Tiandong Rice farmers to regulate water level, widen rice field embankments and increase plant cover, and use agricultural waste as nourishment for wild plants. Afterwards, the bureau investigated and surveyed the effect on the ecosystem. The payments the farmers received for their efforts replaced payments they would have otherwise received from subsidies. Rather than being paid to let fields lay fallow, they were paid to improve ecosystem services—and help increase biodiversity in the rice paddy fields where produce the Tiandong Rice. One of the core ideas of the Satoyama Initiative is to bring together a diverse group of stakeholders to discuss community public affairs. 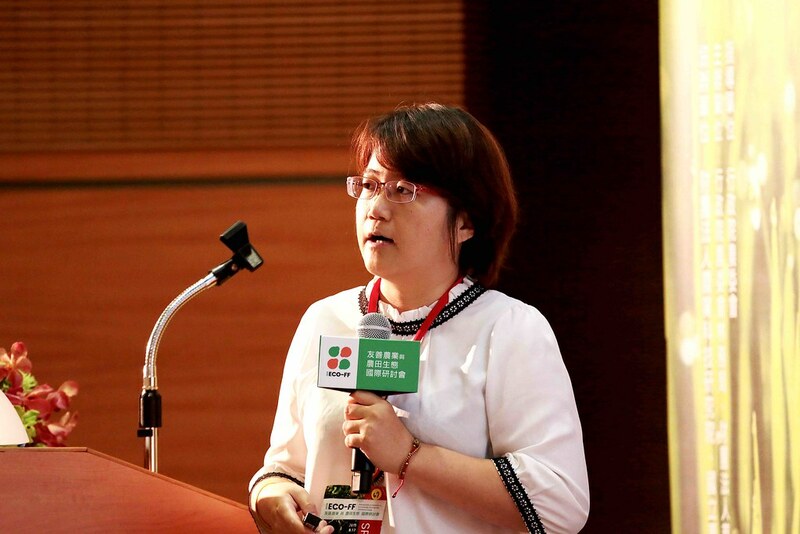 Hsu Fang-Chia (許芳嘉), Technical Specialist of Hualien Forest District Office (花蓮林管處), shared the transformation that has been happening over the last two years in the Xinshe (新社) of Fengbin (豐濱), Hualien. Many different ecosystems exist side-by-side within this little village. Underneath the rich forest, steam, farmland, and marine ecosystem is the watershed, which is the water source of the stream that trickles into the farmers’ fields; it eventually empties into the ocean - where coral reefs are nestled three meters under the ocean surface. The two tribes living along the stream, the Dipit (復興) tribe of the Amis upstream and the Xinshe tribe of the Kavalan along the coast, have a long history of using natural resources. Due to starkly different customs, there is little exchange between the two tribes. 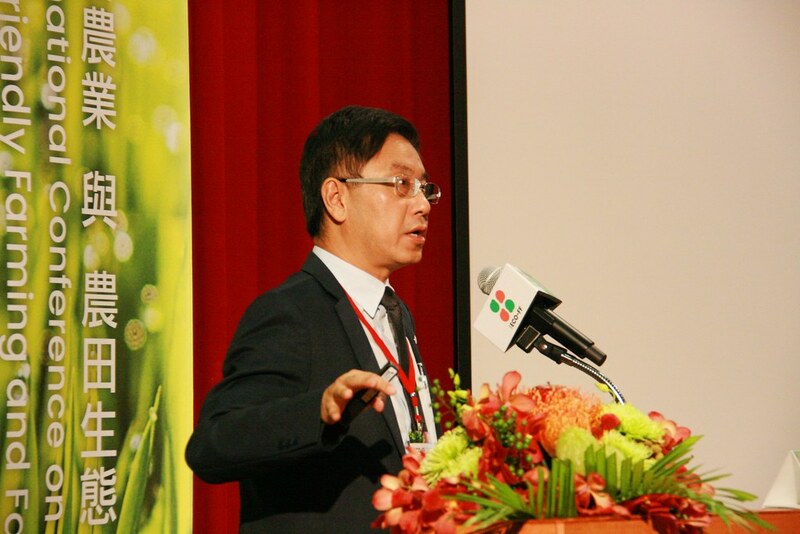 In 2016, Lee Kuang-Chung (李光中), Associate Professor of College of Environmental Studies, National Dong Hwa University, put forward a proposition to form an Ecological Agricultural Initiative through the combined efforts of Hualien District Agricultural Research and Extension Station (花蓮區農業改場), Hualien Forest District Office, Soil and Water Conservation Bureau’s Hualien Branch (水保局花蓮分局), and the two tribes. Stakeholders can voice their opinions in a cross-regional discussion platform. Changing the behavior of agricultural production can simultaneously conserve the natural habitats all over the region, from the forest ecosystem to the coral reef, and make the Satoyama Initiative a reality. After running for two years, the plan is gradually starting to gain traction. Hsu of Hualien Forest District Office reports that the results of an ecological survey of the stream demonstrates that the cross-region platform has been quite effective. 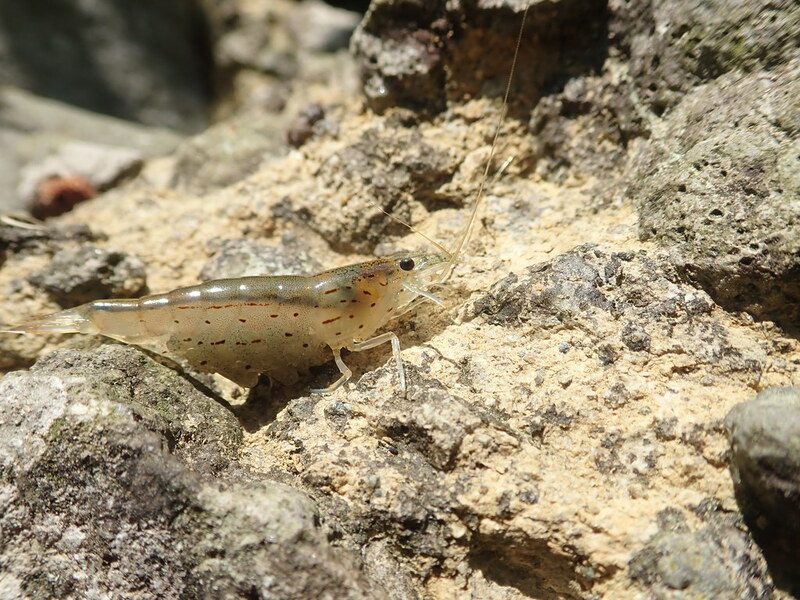 The Hualien Forest District Office commissioned the Huilanfeng Ecological Company to conduct an ecological survey of the streams, including Jialangxi (加塱溪) - a natural habitat for the amano shrimp (Caridina multidentata). Spanning from the source of the stream all the way to the drainage basin, there are 153 step-ladder type groundsill works, each one using a different type of engineering design. Because of this, the Hualien Forest District Office invited the Soil and Water Conservation Bureau’s Hualien Branch to join forces and restore the stream habitat. 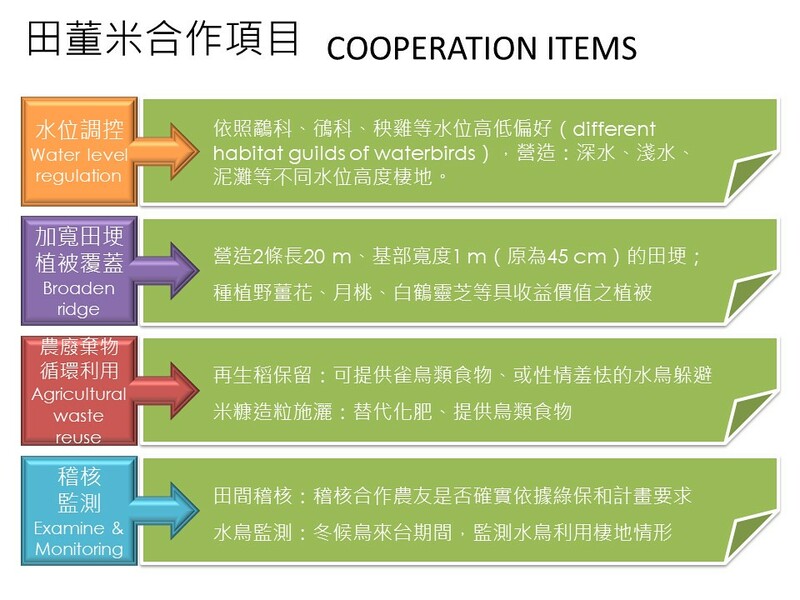 The Hualien District Agricultural Research and Extension Station analyzed the water source and each species’ characteristics in order to determine which aquatic crops were best suited to the local ecosystem. They also factored in physical labor requirements for each crop to ease the burden of crop maintenance on local farmers. Through an assessment of labor, ecosystems, and agriculture, they determined that water spinach, watercress, and Manchurian wild rice could be grown in an environmentally friendly manner without imposing on the lives of local farmers. However, due to high temperatures for implementing aquaponics, the Station first conducted an indoor trial experiment planting just a Fen (around 969.917m2), of water spinach. Additionally, in order to better understand potential business opportunities, the Hualien Forest District Office conducted a market survey on the shrimp resources. They hope that sustainably-raised Amano shrimp will be able to benefit local people. In contrast to previous projects, which involved a top-down regulation issued by the government, this project evolved through a discussion with relevant stakeholders about community expectations, livelihoods and environmental sustainability. This project clearly demonstrates the mechanism and function of the cross-regional platform. The platform kicked off in 2016. After being in operation for around a year and a half, it has also been featured in a documentary. Hsu Fang-Jia plays the preview for the documentary, “Season of Healing (復新好時光)”, at the conference.